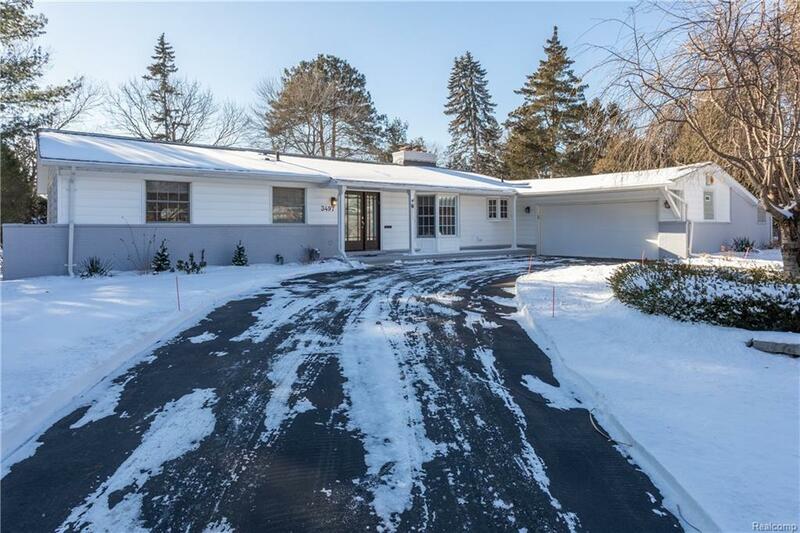 BEAUTIFUL, HARD-TO-FIND, MID-CENTURY MODERN RANCH IS SITUATED ON OVER HALF AN ACRE PRIVATE CUL-DE-SAC LOT IN BLOOMFIELD HILLS WITH BIRMINGHAM SCHOOLS! 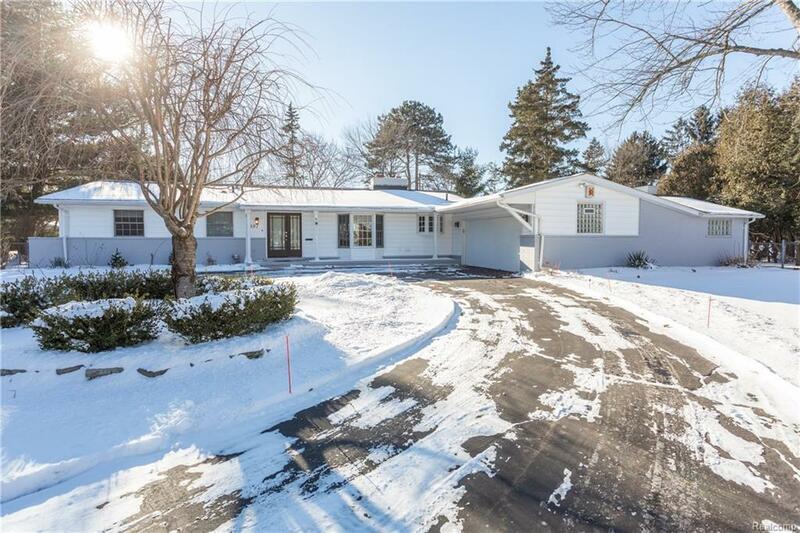 LOVELY HARDWOOD FLOORS THROUGH THE UPDATED ISLAND KITCHEN AND SUN-FILLED GREAT ROOM WHICH FEATURES A GAS FIREPLACE AND DOORWALLS TO LARGE CEDAR DECK LEADING TO HUGE FENCED BACK YARD. KITCHEN BOASTS STAINLESS APPLIANCES, CAMBRIA COUNTER-TOPS, AND BREAKFAST AREA. 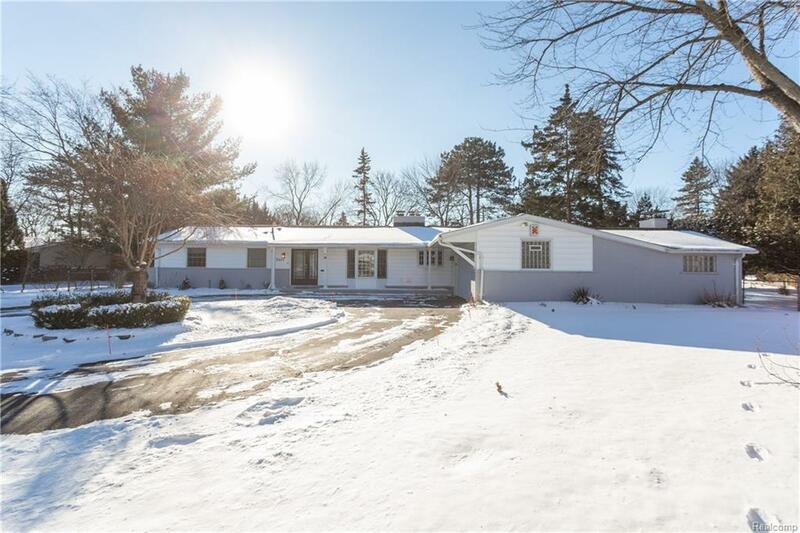 TONS OF STORAGE SPACE IN THE FULL BASEMENT, AND ADDITIONAL AREA OFF GARAGE, CENTRAL AIR, 3 BEDROOMS, 2 FULL BATHS, CIRCULAR DRIVE, SIDE-ENTRY 2-CAR ATT. 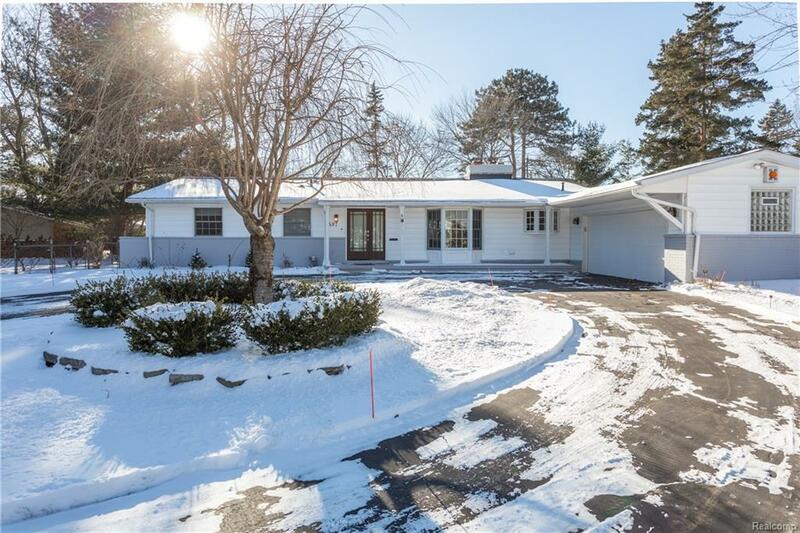 GARAGE, UPDATED BATHS, AND MUCH MORE!! THIS CHARMING, PRIVATE RETREAT IS THE PERFECT LOW-MAINTENANCE RANCH HOME YOU'VE BEEN LOOKING FOR!! B.A.T.V.A.I.